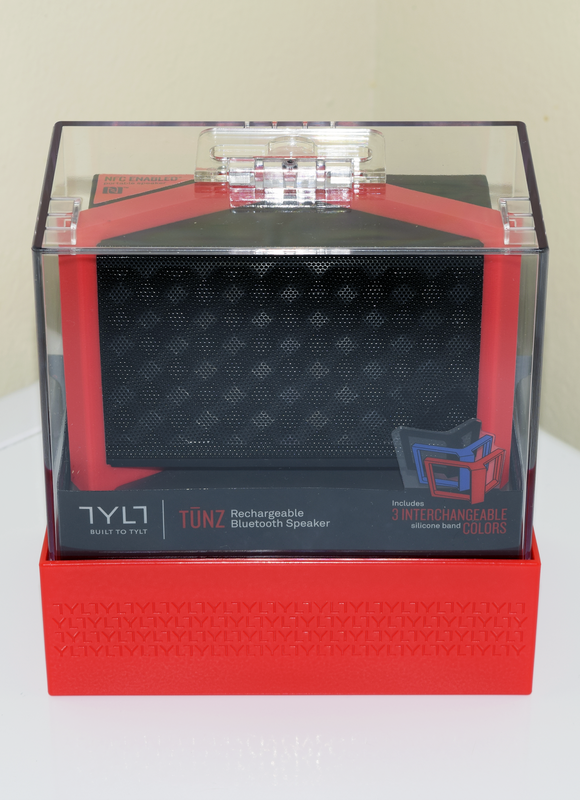 portable speaker Review Speaker TUNZ tylt Tylt TUNZ [Review] TUNZ from TYLT poised to blow my socks off with amazing sound? [Review] TUNZ from TYLT poised to blow my socks off with amazing sound? Got TUNZ from TYLT the day I was leaving to go to the cottage and I must say, I'm impressed with it. 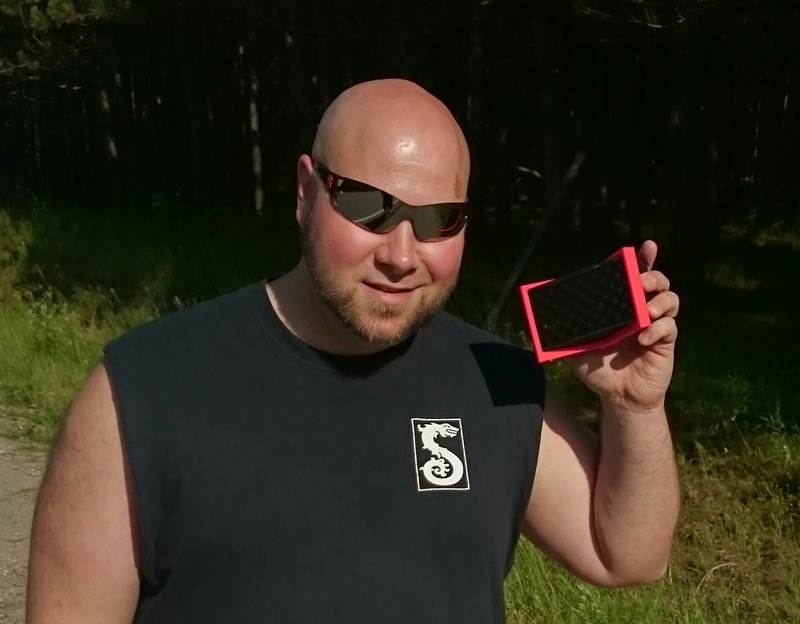 It delivers awesome music and definitely packs a punch when it comes to that bass. It combines two interesting points, music and battery charger. TUNZ comes very well displayed in its casing, as if they wanted to make sure you knew you were getting something special. You'll find that they provide 3 silicone bands, blue, red and black. All the needed adapters for the 3.5mm audio jack and the micro USB cable are also included. You may wonder why they provided bands for the speaker; Since they do deliver that quality of music and bass, the bands act as a vibration stop gap when on flat surfaces. On the top of the speaker you can notice some beveled buttons, they don't click like most other speakers, they're touch base, this allows for an easy increase or decrease of the volume. It could become an inconvenience if you were holding the speaker while say walking, but, the silicone band permits you to have a good hold on it without messing the buttons up constantly. On the back of TUNZ you'll be able to see that you have the AUX In and Out. The device even allows you to connect your USB cable to charge your smartphone and then you're left with the micro USB port which enables the device to the recharged. While in use, TUNZ is capable of delivering up to 20 hours worth of music playback. One of the more interesting aspect is that TUNZ comes with NFC enabled, allowing you to tap and launch the TagStand NFC Launcher which will enable you to pair via Bluetooth and execute whatever other apps you need at the same time, making it the one stop shop. I used this device extensively over the last 4 days and I've charged it only once at this present time. This is definitely a great buy for anyone looking to get a small portable speaker. The price of the UNIT could put you off. It start's at $149.99, but currently it's on sale for $99,99.